Should You Gain The Whole World & Lose Your Child? 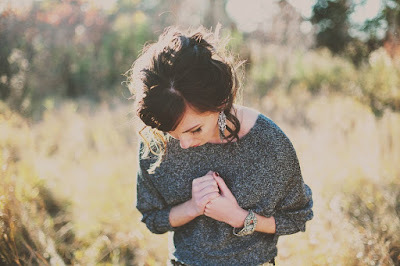 I have wanted to write about this topic for a while but I needed God to help me with the direction with which to write it so I don't come across as being judgmental in any way. 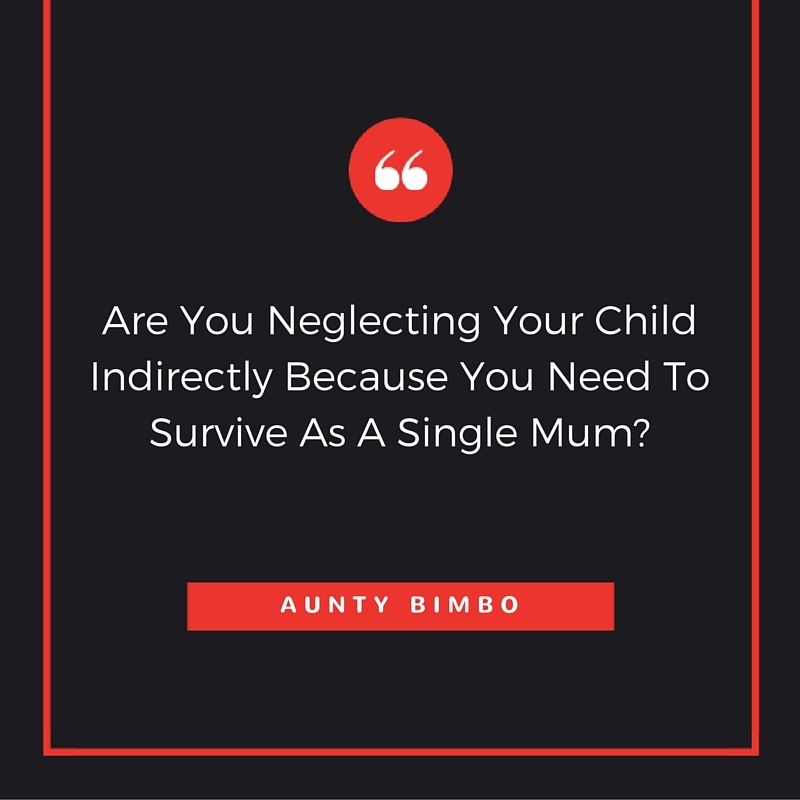 Furthermore, I have met many single mums whose children are not with them for various reasons among which is either the husband/partner decided to take the child(ren) or the mothers are just not financially able to take care of them. However, what about those single mums who are financially able to take care of their kids but just decide to leave them with someone else for the sake of convenience or to be able to build a career? I have even heard of cases where the children are left with other family members so the single mum can easily get a man to marry! 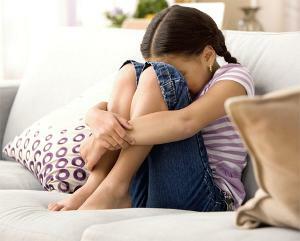 I am a single mum of 2 children and I know it isn't easy for men to take you on with a child talkless of 2, 3 or more. On the other hand, I have also heard of women in such situations who have gone ahead to marry men who accepted them warts and all (forgive my language). In the course of walking this single mum path which is full of stigma, silent accusations and sometime wrong insinuations, one thing that has kept me going is having my children with me and knowing come rain or shine we are together. Looking at them motivates me to hustle more to make them happy and be able to cater for them and that remains my driving force. Yes, I have had to do menial jobs in the past just to ensure they feed but at the end of the day seeing them makes it worth it for me. 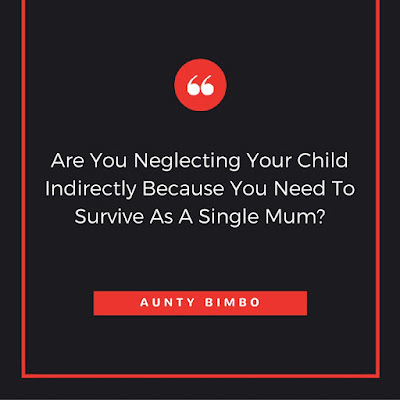 It is bad enough that as a single mum you can't give them the right atmosphere of mummy and daddy living together but must you now make it worse by allowing them be with relatives no matter how good their intentions? Please don't get me wrong, like I initially mentioned, if it is financially difficult raising your child(ren) by yourself that is another matter entirely. BUT if you are in a financially okay position but you still leave that child(ren) with relatives, I advise you have a rethink because if your child starts to see that relative as a higher authority than you, there is a problem, if that child has a stronger bond with that relative than you, there is a problem and if that child cannot connect with you emotionally, then that is a BIG problem. The maternal bond is a very strong one that shouldn't be taken for granted and most children thrive on it. When I first lost my banking job, my mum offered for me to send my children to her to help take care of them so I could get back on my feet. Much as it looked like a very viable option for me, I had to refuse it because growing up I was usually sent to my cousins house to stay because my mum traveled a lot and honestly, I went through stuff some of which I never even mentioned to her till today. Besides, I ended up developing an emotional disconnect and a vacuum which affected my relationship with people generally for a long time. Infact my broken marriage stemmed from the fact that I was so emotionally needy I didn't want to be alone so I got married in haste without even observing due process as the case may be and see where I found myself. A lot of what we go through as adults take root from our childhood hence we need to be very careful the kind of upbringing we expose our children to no matter the seemingly right reason. Let me reiterate again that I am not being judgmental or blaming anyone who might be in this situation. The truth is as a parent either single or married, you have a commitment to support and nurture your child no matter what. My prayer is that God will make a way where there seems to be none and if He has already made a way, please take back your children and become responsible for their emotional well being and I can assure you that they will thank you for it someday.